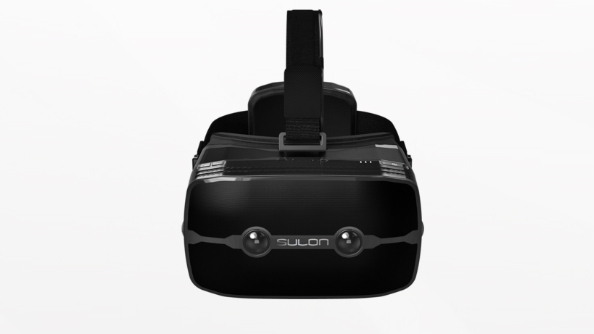 It sounds a bit too good to be true, this VR HMD from Toronto-based Sulon Technologies and AMD. For starters, it’s a completely wireless VR headset, which seems like the realm of fantasy if you’ve been using an Oculus Rift DK2 and its 25 mandatory cables up to this point. It’s also capable of both VR and AR, knows a few tricks that’ll extend the virtual space around you beyond the confines of your physica environment, and doesn’t need to be connected to a PC because… it is one. So far the games that VR has set its sights on most intently are those set out in the stars. How many more will join the ranks of the best space games on PC? Sulon Technologies CEO Dhan Balahcand describes it as “the world’s first and only all-in-one, tether-free, ‘wear and play’ headset for VR, AR and spatial computing.” It’s hard to argue with that – rival HMDs from Oculus, Vive, and even Sony’s PlayStation VR have taken a radically different approach to connecting the user with their VR world. The Sulon Q, which AMD revealed at their GDC 2016 conference on Monday, is both VR and AR, relying on a ‘Spatial Processing Unit’ to provide real-time environment tracking and gesture recognition. Essentially it means you can manipulate software entities while keeping an eye on the real world, a la Tom Cruise in Minority Report. Or rather, a version of Tom Cruise in Minority Report who used Windows 10 to fish out those naughty pre-crimes. Win10 allows opaque and semi-transparent windows to be manipulated and moved around the 110-degree FOV environment that the Sulon Q provides. There’s obviously some clever design at play in the Sulon Q, and that’s helping it to make good on a few shortcomings of its rivals designs – all the cables, for starters. But where intelligent divergence begins to seem like wild, Molyneux-esque promising, though, is the part about “Console-quality graphics and powerful processing.” To be clear, those graphics and processing are being provided by a computer unit, which is also attached to your head as you play. It’s powered by an AMD FX-8800P processor with on-die Radeon R7 graphics. That’s in charge of outputting to the 2560 x 1440p display. The magical 90 fps that most hardware manufacturers and developers cite as being key to smooth, sickness-free performance isn’t mentioned. But if an FX-8800P is hitting those numbers, there’s outright witchcraft at foot. You can find more info on the nigh-mythical Sulon Q at its official site.